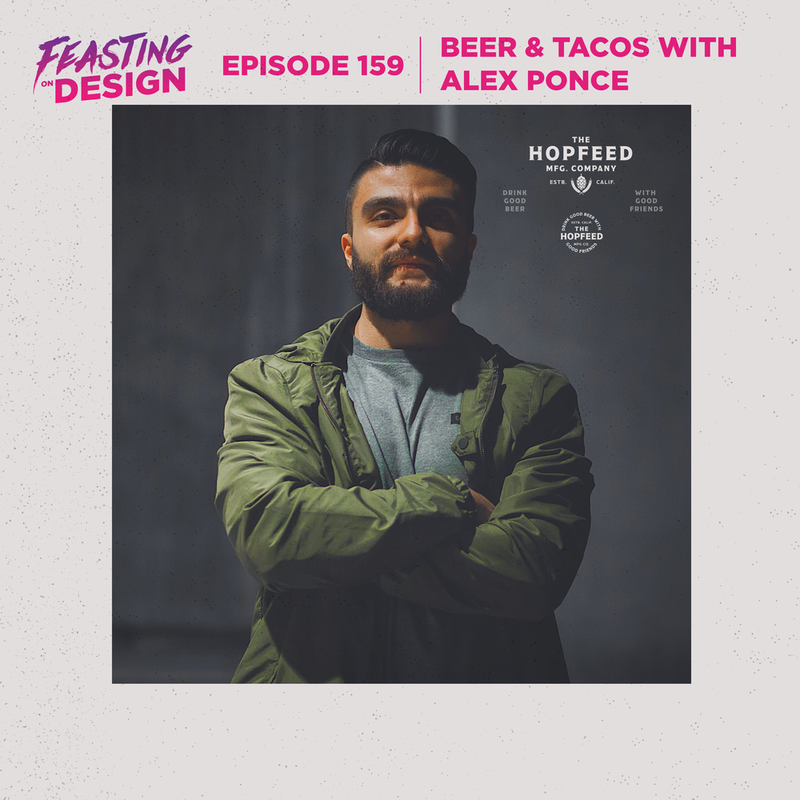 Today I’m talking with Designer Alex Ponce, who has worked for brands like Stone Brewing and Taco Bell. We chat about creating branding for craft and microbreweries, designing at scale for limited release products for Taco bell, how he thinks about concepting, differentiating and creating story for brands that operate in the same market and demographic space, plus a whole lot more. One last thing before you get to the episode, Alex and I for got to talk about it, but go check out his new project Hopfeed, which has some cool beer related merchandise and helps beer lover connect to share beers from around the country. You can find out more about it at TheHopfeed.com. You can find out more about Alex on Twitter at @apcreative_ and be sure to check out the links in the show notes for more ways to keep up with him. Visit feastingondesign.com to catch up on the archives of the Creative South Podcast, get some cool swag like t-shirts and stickers that are on sale right now for 50% off with free shipping on orders over $25 when you use the code FreeShipping, all one word, plus you can keep up with the podcast on Twitter, Facebook, and Instagram @FeastOnDesign, and I’m @jfrostholm on Dribbble, Twitter, and Instagram.